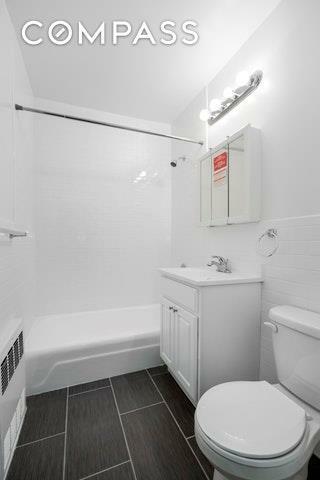 Just fully renovated from top to bottom. 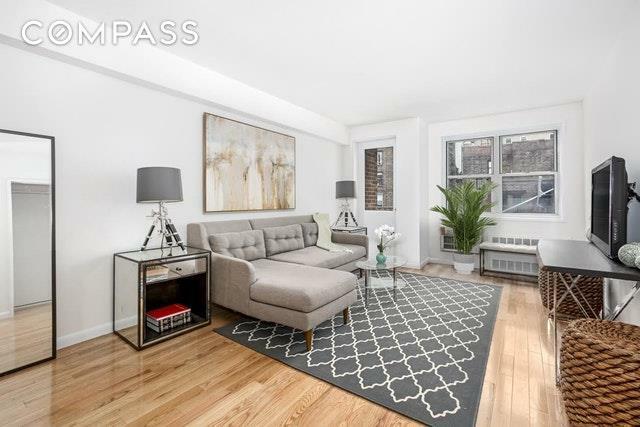 Enjoy large, light-filled living and private outdoor space in this lovely one-bedroom gem in prime Chelsea.East-facing windows frame quintessential New York City rooftop views in this well-planned, 585-square-foot home. Stretching a full 26 feet long, the bright great room provides plenty of space for living, dining and even home office areas, all with access to your private balcony with a view of The Empire State Building. 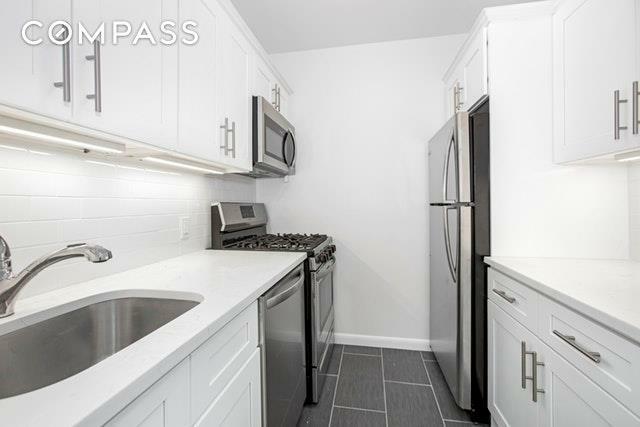 The separate kitchen, flanked by convenient closets, boasts tons of cabinet and counter space plus great full-size appliances, including a gas range, dishwasher and built-in microwave. The queen-size bedroom features a huge closet and bright views, and the spacious bathroom includes a granite-topped vanity and large tub-shower. 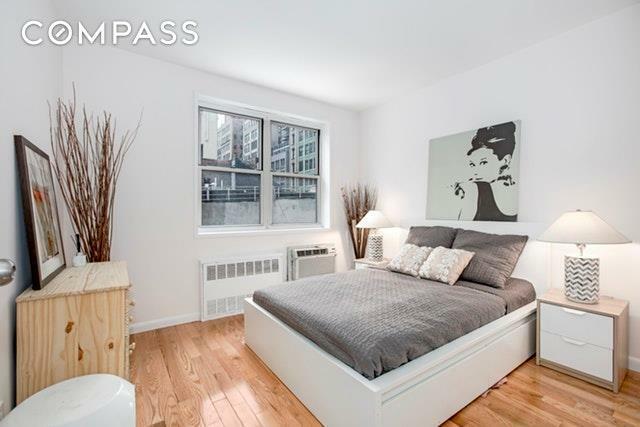 A fifth closet in the hallway ensures storage will never be concerned in this delightful Chelsea condo.The Chelsea 7th is a pet-friendly elevator building offering full-time doorman service, live-in superintendent, updated common areas and a newly renovated smartcard laundry room. Located in vibrant, central Chelsea, at the corner of 23rd Street and 7th Avenue, there's no shortage of great dining, nightlife, shopping and open space in the surrounding area. Foodies will love the immediate access to Whole Foods, Trader Joe's and Eataly. Two blocks away, Madison Square Park provides verdant outdoor space and a year-round calendar of events, while both the High Line, Hudson River Park and Chelsea Piers sit just over a half-mile to the west. Transportation couldn't be easier with 1 train service just downstairs, plus F/M, C/E and PATH trains all within blocks.